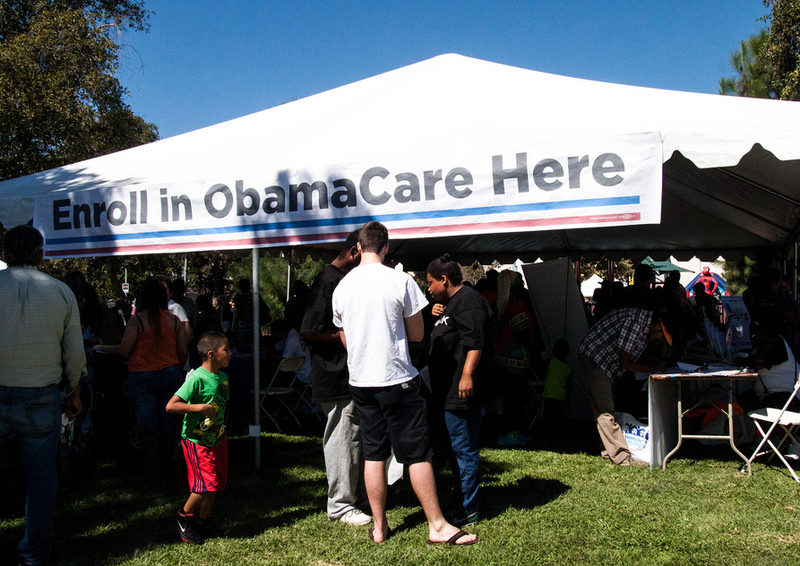 When It Comes To Obamacare, All Immigrants Are Legal. Lost in the overall shuffle concerning the many problems with Obamacare’s exchanges is the central problem of enforcement of those aspects of the law the president hasn’t waived or delayed yet – including the particular challenge when it comes to verifying the immigration status of those applying for taxpayer subsidized insurance. Can individuals upload immigration verification documents on http://healthcare.gov/, and who reviews the documents that individuals upload on http://healthcare.gov/? Yes, consumers can upload documents supporting their attestation of an eligible immigration status if asked to provide more information to the Marketplace. Consumers who attest to an eligible immigration status while completing the application for coverage will be asked to provide the Marketplace with information about the type of immigration document that they have supporting their status. The Marketplace will attempt to match the information provided with information contained in data sources used for eligibility verification. If any of the information provided does not match information contained in data sources used for eligibility verification, it’s called an application inconsistency. If there is an application inconsistency, the Marketplace will provide the consumer with eligibility while the inconsistency is being resolved based on the information provided on the application. The Marketplace may ask the consumer to provide additional information to the Marketplace to review in order to resolve the inconsistency. Consumers can either upload a copy of the requested document(s) showing their information to their My Account on Healthcare.gov or mail in a copy of their document(s) to the Marketplace at [the appropriate address]. This is categorized as a clarification of the policy, and not a new CMS position – it’s detailed further in this document, titled “FAQ on Remote Identity Proofing, Remote Identity Proofing Failures and Application Inconsistencies (Federally-facilitated Marketplace)”. You can read it here. But note the nature of what CMS is saying here: they are de facto presuming eligibility of anyone who applied in the open enrollment period, regardless of their immigration status. While Obamacare specifically says undocumented immigrants are not eligible for subsidized coverage in the exchanges, it’s hard to see this directive to insurers as anything but an encouragement to willfully disregard the spirit of the statute. How long will it take to verify these questionable applications? How much money is being spent right now to subsidize such coverage? How would the government recoup any taxpayer dollars spent subsidizing illegal immigrants who inappropriately obtained subsidies? This latest policy is of a piece with the prior quiet announcements from the administration that verification of eligibility in state exchanges would operate on the honor system, an honor system for employers incentivizing them to lie tied to delay of the employer mandate, and an honor system now being deployed in state exchanges for “qualifying life events” to obtain subsidized insurance. At each turn in the creation of the exchange structure, the administration basically said “trust us” on implementation. Now they’re saying “trust us” on whether or not the eligibility of these applications with questionable immigration status will be confirmed in a timely way. Of course, they’d never stoop to playing politics with the enforcement of the law to try to boost subsidized enrollment, regardless of whether or not recipients are qualified… would they?